The club was formed in 1945 and were known as Lower Gornal Athletic until a name change in 1972. They started out in the Worcestershire Combination, with finishes ranging three 5th places to a low of rock bottom in 1955. 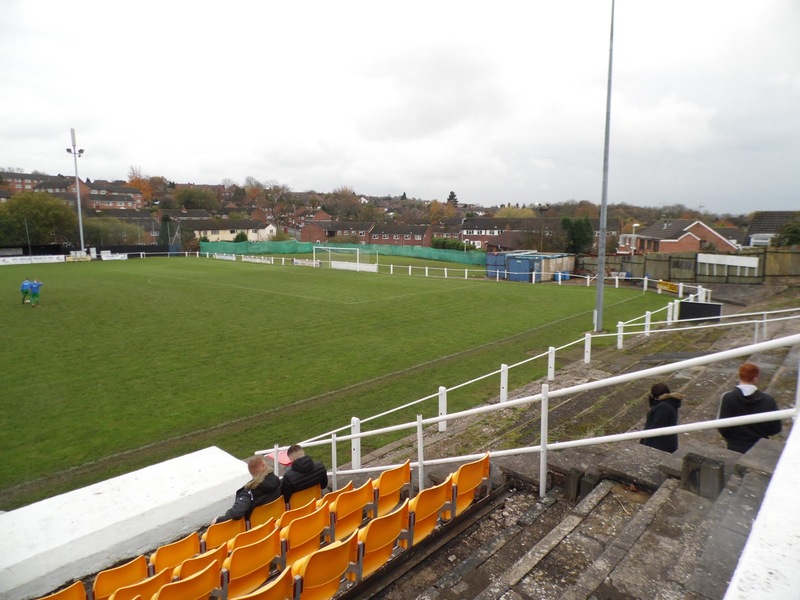 In 1963, they joined the West Midlands Regional League, finishing 4th two years later and staying in the Premier Division until relegation in 1980. 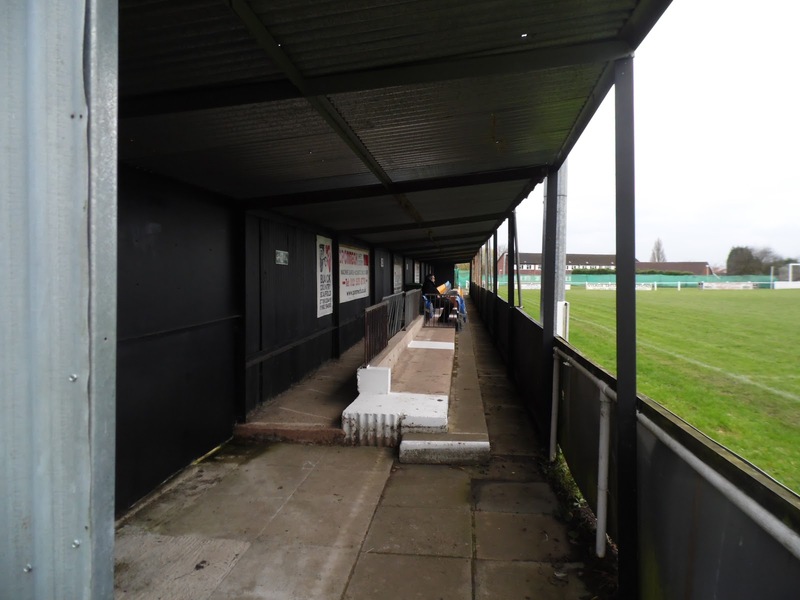 A long spell in Division 1 followed, with Gornal Athletic remaining here until 1994 when they finished runners-up behind Stafford Town. A mixed spell followed and although the club would drop back down to the second tier for the 2003/04 season, they bounced straight back as champions. 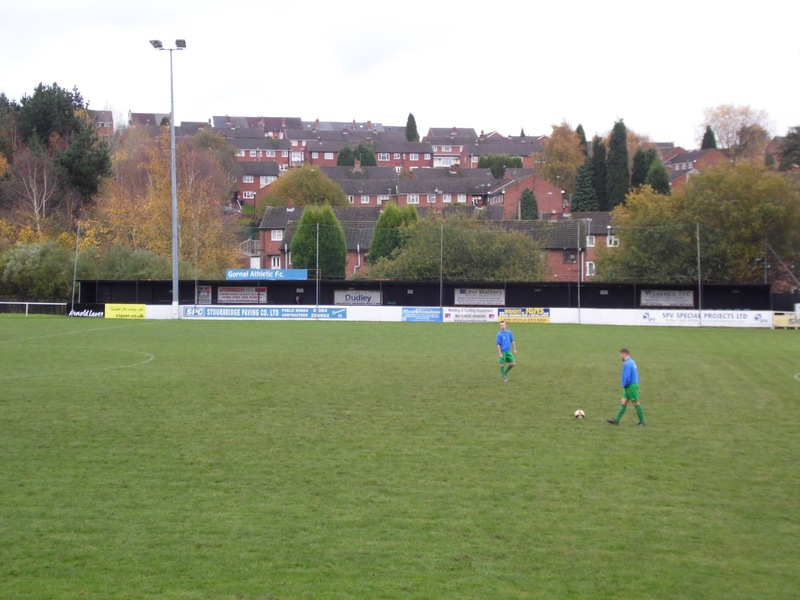 This sparked one of the most successful spells in the club's history with them finishing as runners-up to Tividale in 2011, before winning the WMRL Premier the following year. This earned Gornal Athletic promotion to the Midland Alliance and 2012/13 saw the best finish in the club's history with a 3rd place in what was then a step 5 league. Their joy was short-lived however and the club was relegated back to the West Midlands (Regional) League in 2014. Despite a brief recovery in the 2014/15 season, where Gornal finished 3rd in the WMRL Premier, the poor form continued, culminating in relegation to the WMRL Division 1 at the end of last season. This season has seen a slight improvement in results, with the club sitting in 7th place prior to today's game. 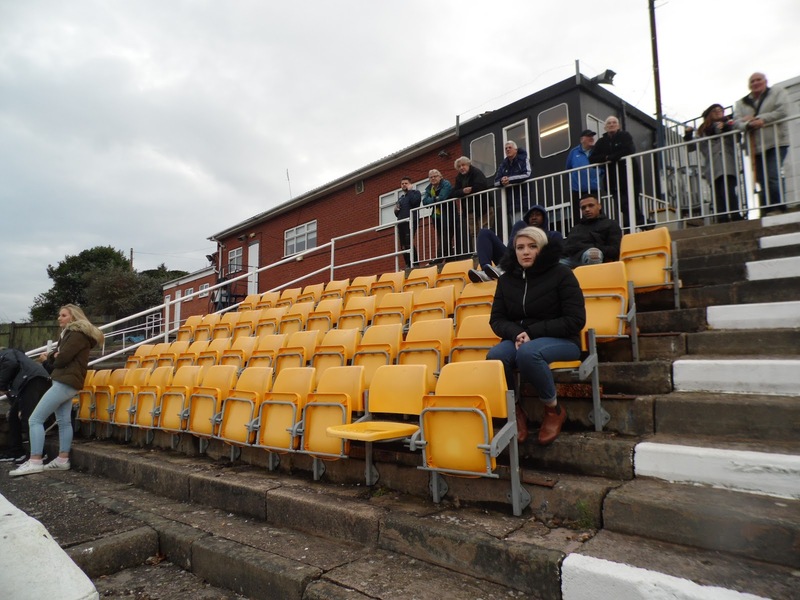 Gornal Athletic's best ever run in the FA Cup came during the 1975/76 season. Starting in the 1st Qualifying Round, they beat Highgate United and Belper Town before going out to Nuneaton Borough after a 3-0 Third Qualifying Round replay. 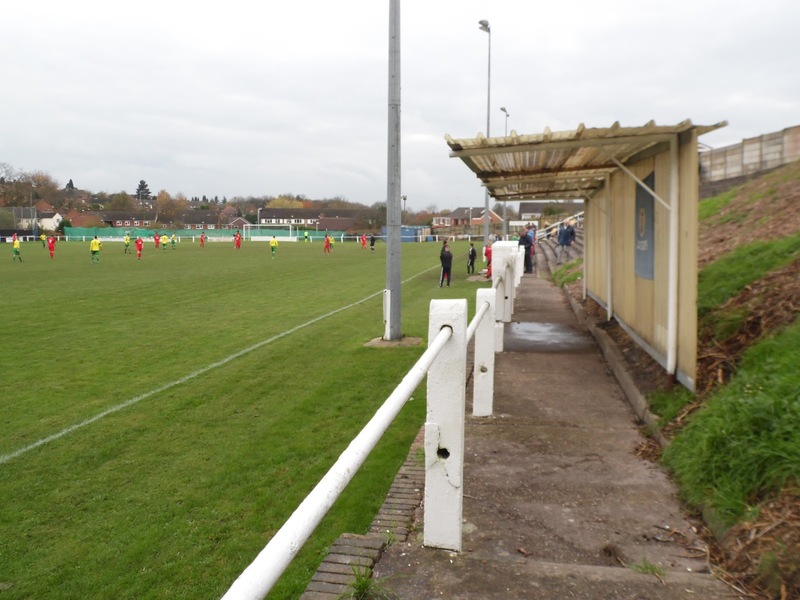 Four seasons previously, they reached the same stage of the FA Trophy, but they have mainly come in the FA Vase. 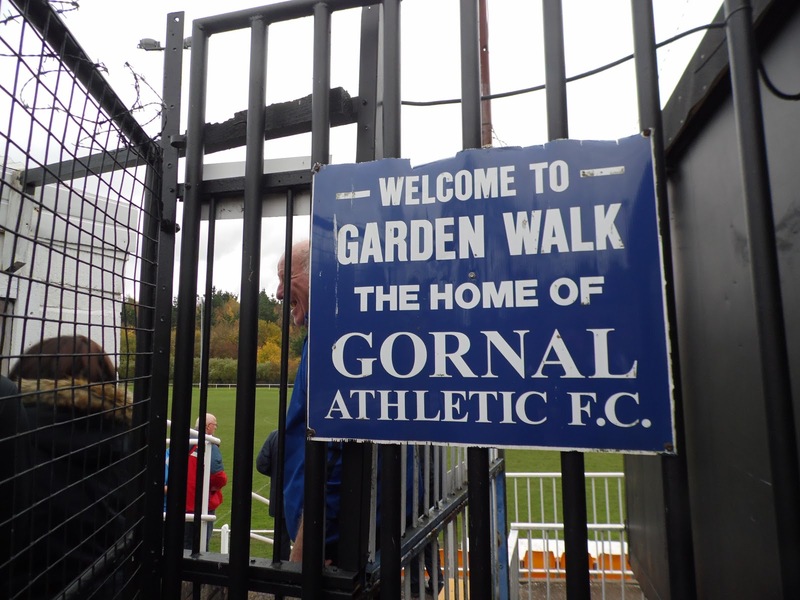 The best run came in 2012/13 as Gornal Athletic beat Atherstone Town, Nuneaton Griff, Lye Town, Coventry Sphinx, Boston Town, Wisbech Town & Bodmin Town before a 3-1 Quarter Final defeat to eventual winners Spennymoor Town. 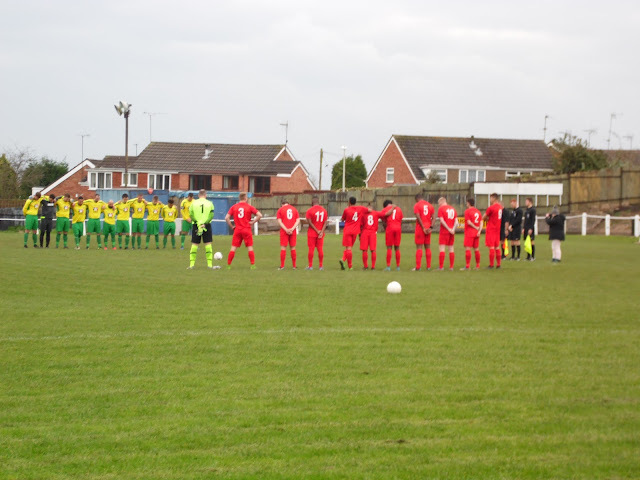 Local honours include the Birmingham Midweek Cup, won in 2012 with a 3-0 victory over Black Country Rangers. 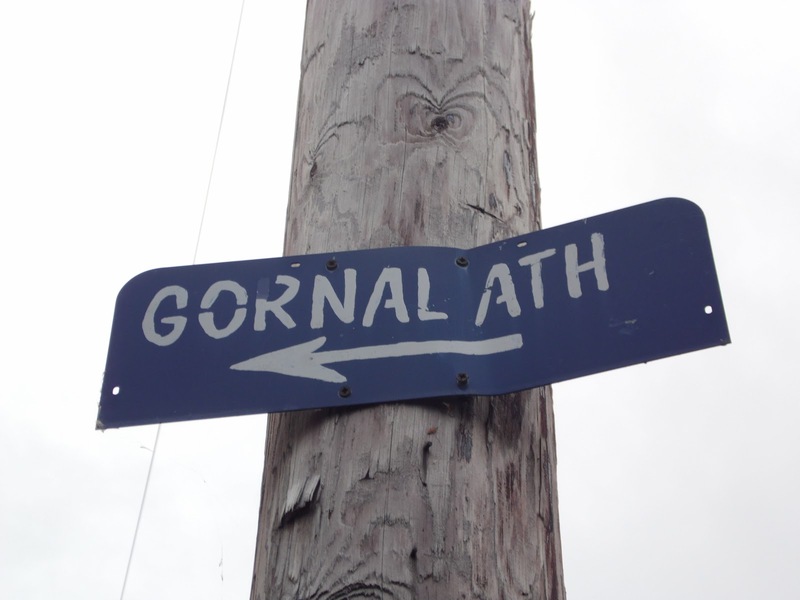 Gornal is made up of two parts - Lower Gornal and Upper Gornal and is a part of Dudley. The population of Gornal is 12,992 and famous residents have included the former BBC Newsreader Sue Lawley. Back in mid-October, I realised that I had a free weekend for two weeks in a row. As ever I was keen to cut down on driving and so I decided that a trip on the train was in order. The previous week, I had been to London and more specifically Croydon, and so wanted to go somewhere different. Thanks to booking a couple of weeks or so in advance, I was able to secure a return from High Wycombe to Birmingham, plus bus options at either end for a shade over £17. 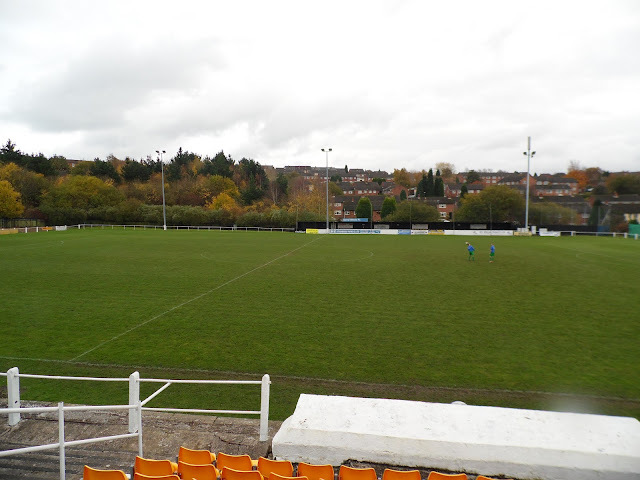 Initially, I'd been hoping to go to Wolverhampton Sporting Club v Rugby Town in what looked a very good FA Vase tie. However, my bus ticket didn't stretch that far and not wanting to waste it, I started looking closer to Birmingham. Bustleholme and Cadbury Athletic were the closest options, both under an hour away. 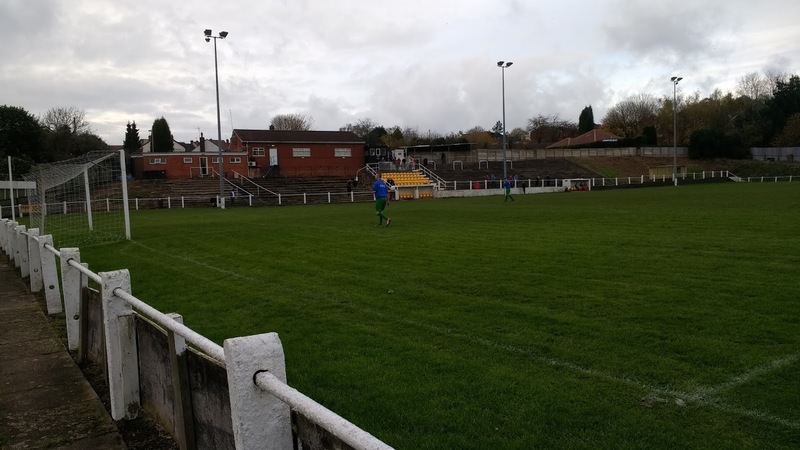 When I put some options out on Twitter to garner opinion, it was spotted by Gornal Athletic's physio Wayne Shakespeare who recommended going to their game. 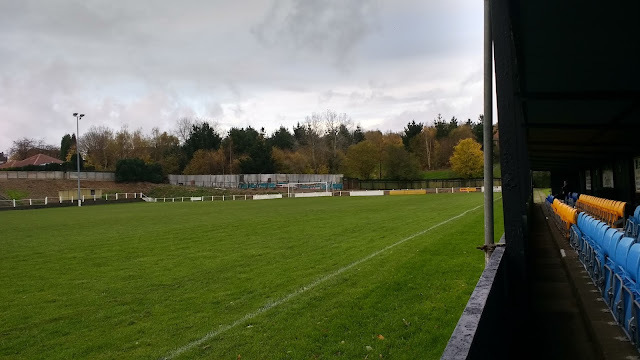 After looking online and seeing that their ground looked very good, I was sold and planned the game in, with it being an hour and ten minutes away on the bus. 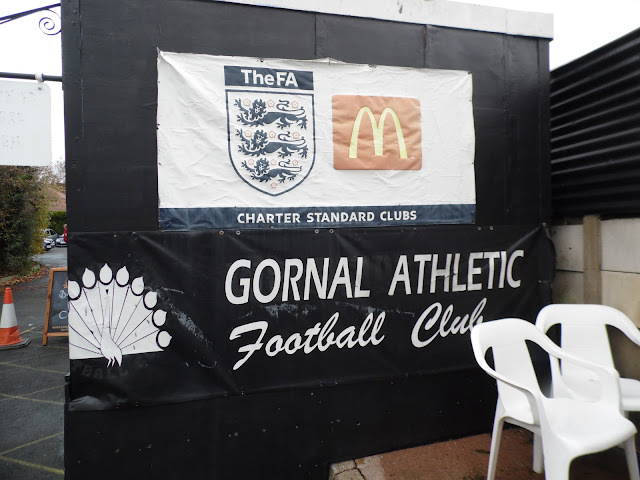 Gornal had been relegated from step 6 football at the end of last season but were still in a pretty strong league. Their game was against another club who had played at a higher level but had also fallen on hard times lately. 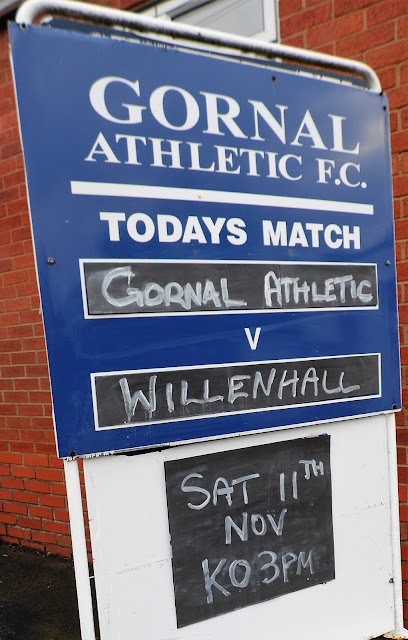 Whilst Gornal were looking comfortable in 7th place, Willenhall were rock bottom, having played Southern League football as recently as ten years ago. On Thursday night, I started doing my research for the game. There was an incredible array of pubs worth visiting - in Birmingham, in Dudley and even in the village of Lower Gornal itself. As a huge fan of trying new ciders, I'd be in my element, but I'd have to be careful as I have a penchant for falling asleep after a few drinks - which would prove disastrous if I missed the match or my train. I also looked further at Willenhall's decline, which was astonishing. 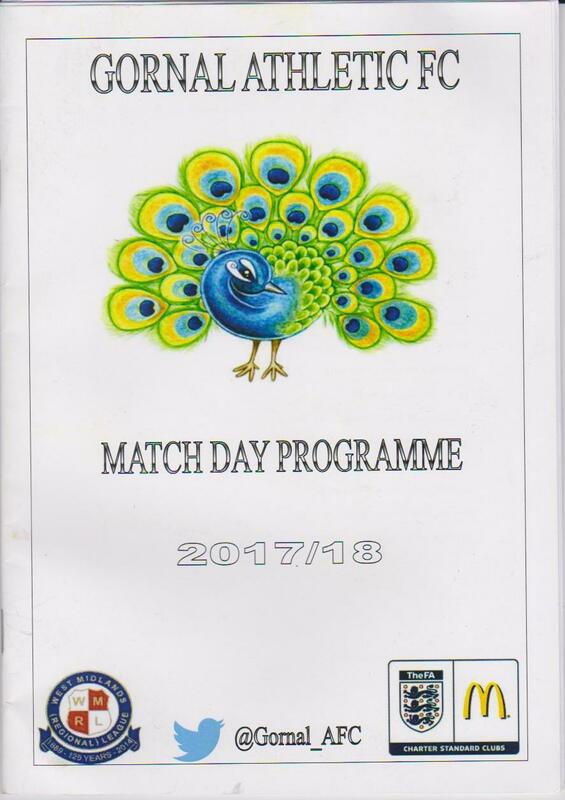 They'd already lost 13-0, 11-0, 9-0, 9-2 and 7-1 prior to their latest 10-0 defeat to Wolverhampton Casuals on Tuesday. In fact, their only win of the season had come on the 14th October as they won 3-2 away to Telford Juniors. 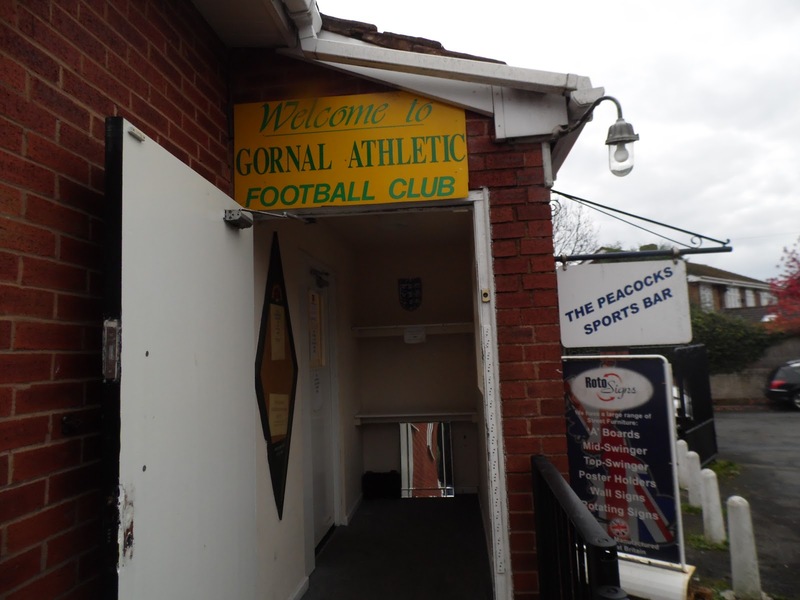 Gornal Athletic were fresh off of a 4-0 victory against Bromyard Town. I noticed that the league had already had three clubs resign so far this season, Barterstree, Penncroft and Shenstone Pathfinders had all opted not to continue at various points through the season - I don't think I've seen a league with so many flaky clubs. The night before, I watched the England v Germany game on TV. Usually, I’d be disappointed with a goalless draw, but on this occasion, a very inexperienced team did well, and it was nice to be positive about our national team for once. I had a few drinks with the game, more than intended, but still ended up going to bed around 11. On the day of the game, I woke around 6 am, usually, that would be annoying, but I’d set my alarm for 6.50 anyway. It was a pleasant autumnal morning, albeit a bit drizzly but after getting watching some YouTube videos, I got out of bed when my alarm sounded. I got dressed, had a cranberry juice and left home at 7.10. Ten minutes later, I was on the bus, thanks to a plus bus ticket that cost me 10p less than a single would have. I had an hour to kill before my train, so went in search of breakfast. Hardly anywhere was open, so I had to settle for a McDonalds Sausage and Egg Bagel. It was ok, but I’d have preferred a Subway. Poundland also didn’t open until 9 so I couldn’t get any drinks for my journey. I got to the train station at 8 and with half an hour until my train, I bought a Daily Star to read. I got the 8.36 train which arrived in Birmingham at 10.15 after a delay at Solihull due to a 'distressed passenger'. First stop was Poundland for drinks and a USB cable to charge my phone as the one I'd bought with me wasn't working properly. With my phone battery down to 50%, it was a godsend. I had a quick look around some other shops before getting the 11.00 bus to Dudley. Usefully, it had a socket to charge my phone, so I didn't need to use my power bank. I got to Dudley at 11.50 and after a brief look around the shops, I headed for my first pub. 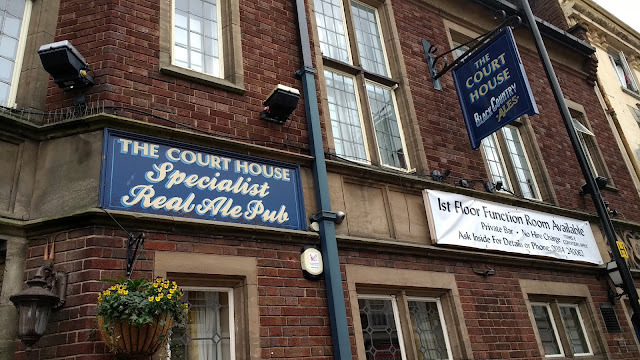 The Court House was a cracking place with a good range of ale and cider. I opted for a Napton Red Devil, made in Southam which was excellent. The pub was also playing some good music, with no modern rubbish. My second stop was Fellows, owned by Holden's Brewery and doing their own cider called Marcher Lords. Another good musical selection was present, I was feeling a bit envious of people who had these pubs on their doorstep, rather than the limited selection in Wycombe. After that, I went to Pound Bakery, having a festive turkey slice where the filling was as hot as lava, meaning I burned my lip badly, but it was tasty all the same. I got a bus at 1.50, with the journey to Gornal taking around 25 minutes. By 2.15 I was in Gornal, stopping at a pub called The Old Bulls Head for a pint of Black Rat. It was one I've had before, but was very nice, Gornal seeming a big place for a village. Gornal had a marvellous ground for the level. I paid £4 to get in, plus £1 for a programme and had a walk around the ground. 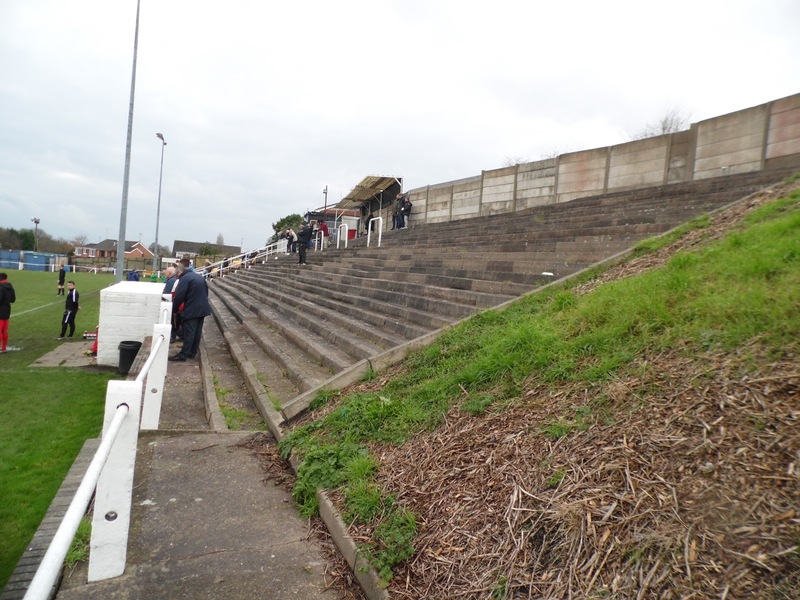 There were huge amounts of terracing and plenty more of interest. 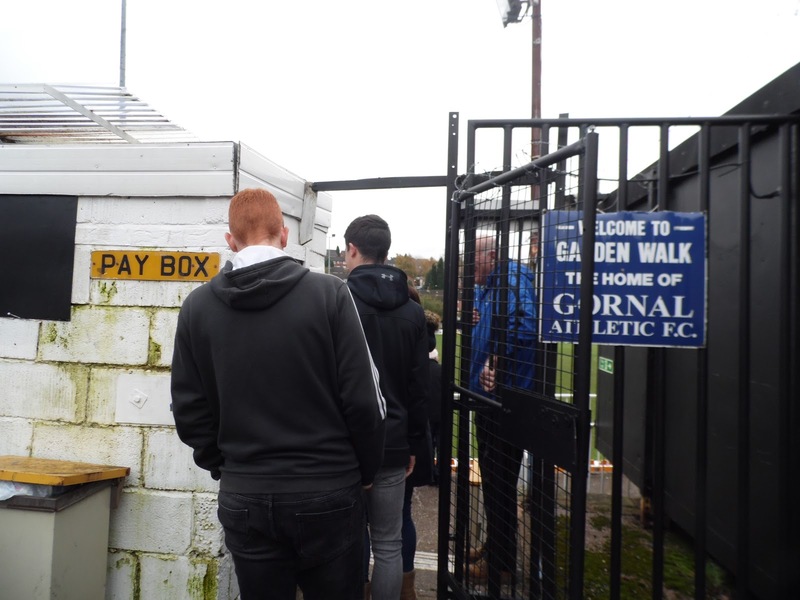 Gornal started on the front foot and hit the bar in the opening minute and then again 8 minutes in as they looked for the win. Despite chances for both sides, it was goalless at the break. The second half saw the contest die down a bit, both sides had half chances to nick it. The hosts got a late winner, around five minutes from time, a scrappy effort which I caught on video. It was harsh on Willenhall, who had battled hard after a shaky start, but that's the way your luck goes when you are down the bottom. I walked back to the bus stop and was lucky enough to get there at the same time as the bus. I decided to go straight back to Birmingham, rather than stay in Dudley. 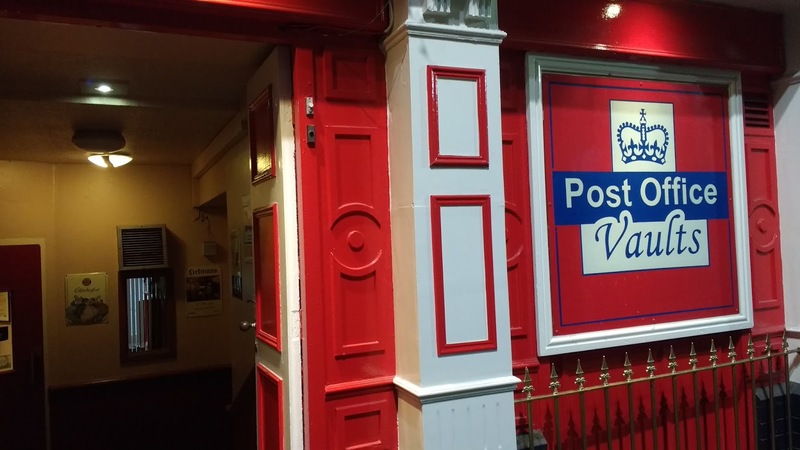 I got back to Brum about 6.25 and headed for the Post Office Vaults. Unusually, I found it easily and was glad when I found the usual 15 ciders on tap. First up was a Betws Cider, which was very tasty as all Welsh ones tend to be. The place was rammed and with no phone signal, I was grateful for their WiFi. Another half, of the Village Green dry was sampled before I was out of time. I walked to Moor Street, a more complicated operation than it should have been to get my train. I didn’t get to eat though, the risk of missing my train too great for a quick nip to a takeaway. I arrived a few minutes before my train departed at 7.55 with me getting back to Wycombe at 9.30. I went to the Chinese in Wycombe, Peking House located right outside the station and offering spring rolls and salt and chilli chips for £4. Suitably fed, I walked to the bus station and caught the next bus to Hazlemere, a mile from home. I got through the door around 10.30, watching TV for 20 minutes before going to bed at 11. 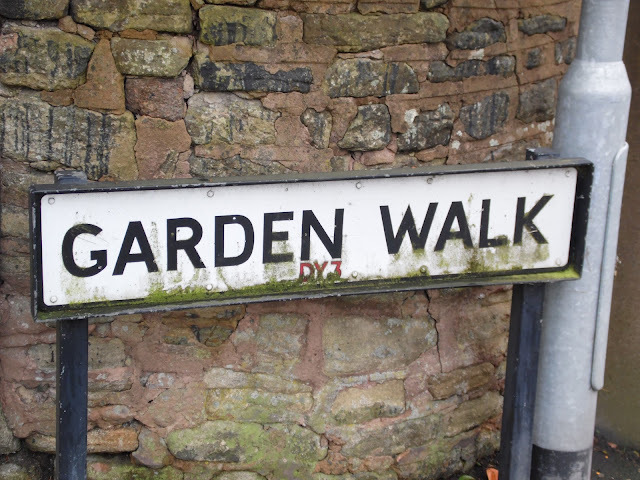 The GARDEN WALK STADIUM must be one of the biggest at their level, with a capacity of 3000. 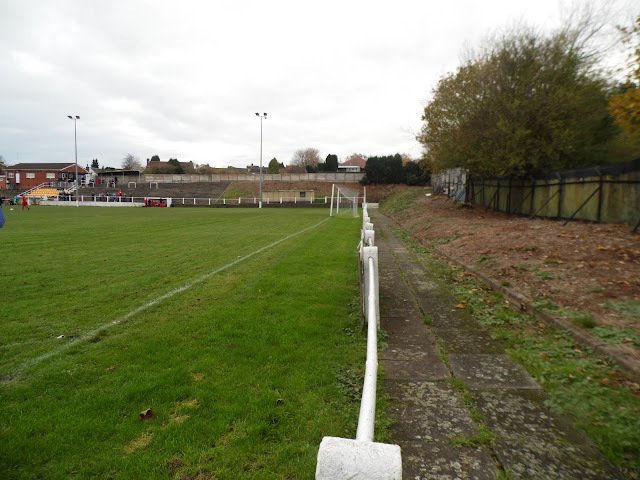 The bulk of this is on the side that you enter and is a huge bank of terracing with around a 2000 capacity. This also has a number of seats and a small area of cover. 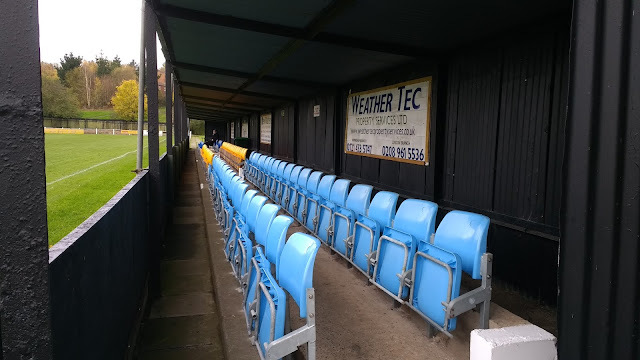 This is open, much like most of the ground, with the only cover being on the far side - a small stand containing around 50 seats and terracing for 150. 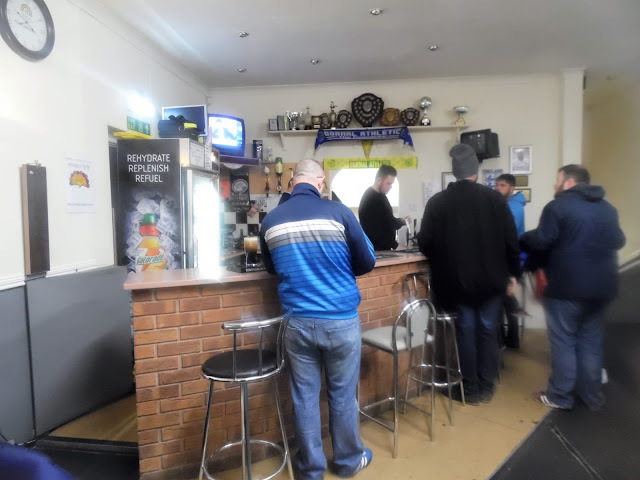 There is a small bar and tea bar at the ground, although a surprisingly large choice of pubs and takeaways can be found in the nearby village.